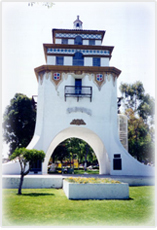 it was officially named Tijuana in 1929. During its first hundred years, Tijuana has grown from a young settlement of cattle ranches, through a frenzied adolescence as a prohibition getaway, to its current maturity as a progressive metropolis. The fourth largest city in Mexico and is considered the most visited city in the world, by the International Border at San Ysidro, California. As a respectable tourist destination with an array of interesting sites. To begin with, the Cultural Center features historical and contemporary exhibitions of Mexican and International artists, and it’s the host to the Omnimax Space Theatre that features educational and natural films for the entire family. The Wax Museum exhibit 60 pieces of famous personalities like Marilyn Monroe, Elvis Presley and Michael Jackson, among others. The L.A. Cetto winery that guide tours through the process of making wine and their wonderful taste. In the activities find more things to do in the city. Shopping is real fun in Tijuana. You can explore the 10 blocks of the Revolution Avenue and the arts & crafts market on second street. Or if you prefer to visit the modern sopping centers that offer from native crafts to imported goods. Tijuana is the home of the Caesar Salad, invented in the 1930’s by Caesar Cardini for his hotel guests. It’s culinary heritage has been the support for the renown cuisine of today, Mexican as well as French, Oriental, Italian, Spanish, Argentine and seafood dishes. All type of accommodations are to be found in this city, for all budgets and preferences. The incredible night life features high tech discos, popular among the younger crowds, as well as lounges and night clubs better enjoyed by those of slower pace. Among the many services there is an international airport with daily flights from Southern California and other Mexico cities, banks, pharmacies, hospitals, and many auto painting and body work facilities. "Please do not forget to visit the Tijuana Hotels guide for reservations and complete Tijuana Hotels". Also for a complete dinning experience try the Tijuana Restaurants guide, featuring the top Tijuana Restaurants.